There is no better place to cozy up during the winter than in front of a warm fire. 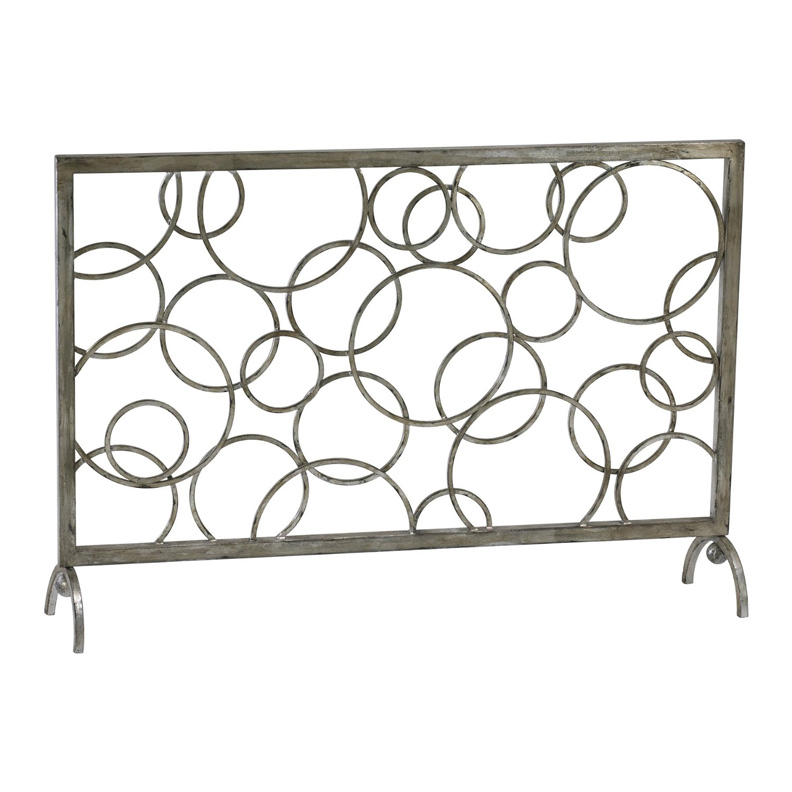 Open circles decorative fireplace screen, available at Savvy Surrounding Style. 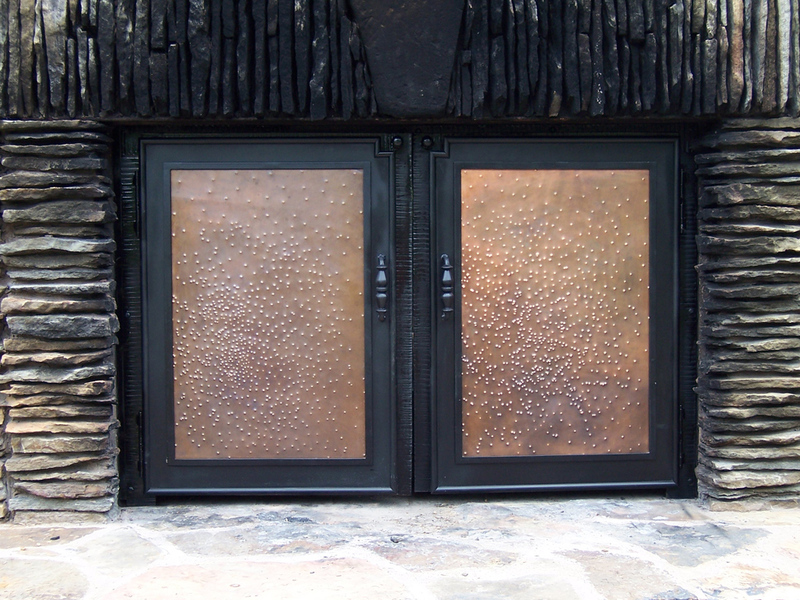 Custom set of fireplace doors inset into a stone surround with a textured steel frame, by Eureka Forge. 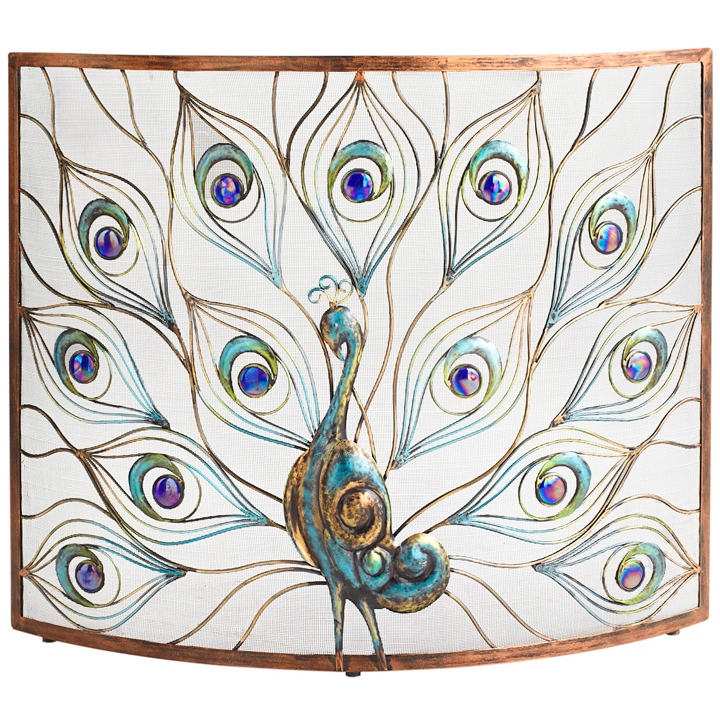 Peacock fireplace screen, from Pier 1 Imports. 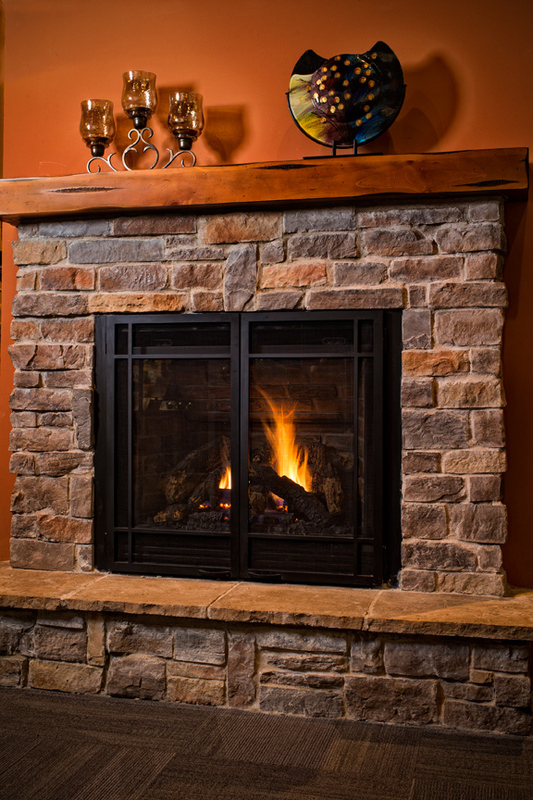 Kozy heat Minnetonka direct vent fireplace with optional doors, available at Victorian Sales. Hammered, textured steel with a decayed Mondrian-like grid, by Eureka Forge. Custom-built mantel, by Liston Construction Company. Aspen single-screen fireplace screen, available at Pottery Barn. three: Peacock fireplace screen, from Pier 1 Imports. 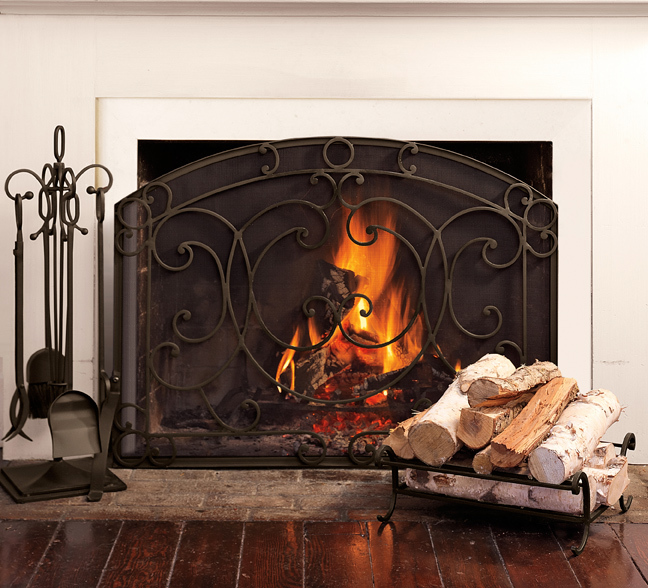 four: Kozy heat Minnetonka direct vent fireplace with optional doors, available at Victorian Sales. five: Hammered, textured steel with a decayed Mondrian-like grid, by Eureka Forge. 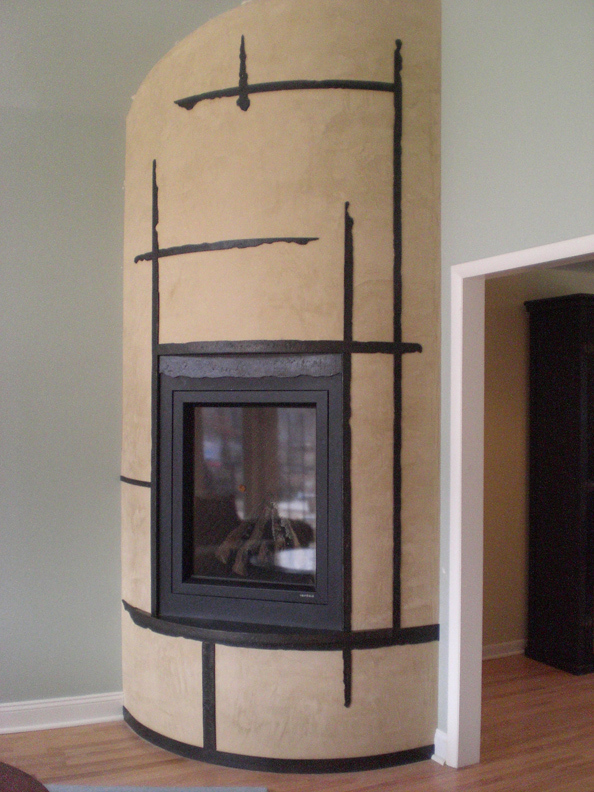 six: Custom-built mantel, by Liston Construction Company. seven: Aspen single-screen fireplace screen, available at Pottery Barn.